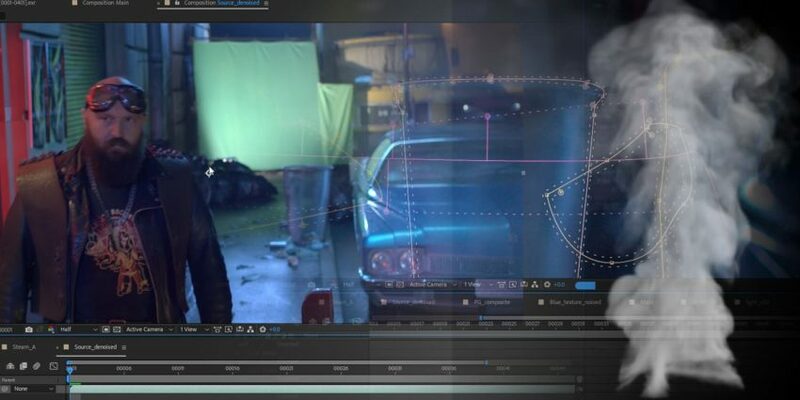 Our new course works through a live action compositing shot in After Effects, combining green screen footage, digital matte painting files, and other elements. City Environment Compositing in After Effects is taught by Russian artist Kirill Pleshakov and utilizes a scene from the Russian short film “Something for Nothing” and includes over 5GB of source files that you can use to follow along with the course. The course begins with Kirill sharing his organizational structure for projects and then works he works his way through the shot. Along the way, like with most comps, he solves numerous problems with source material and elements in order to create the final shot. It’s certainly no “import your layers and hit render” kind of course.